Unique shape is truly beautiful. 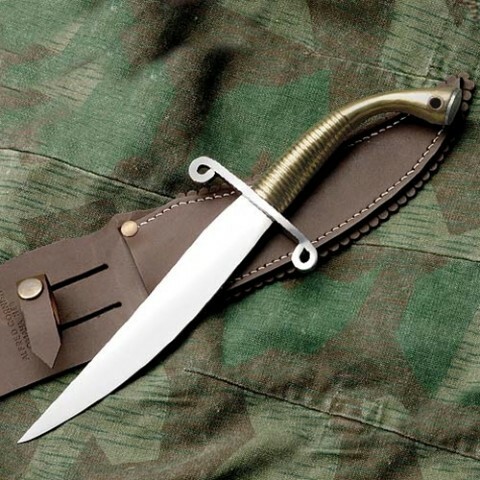 This private purchase knife used by US troops was made by a metal sculptor from Nebraska, Floyd Nichols. Striking cast brass grip fits neatly in the hand. High carbon steel 18.5cm blade is tempered for optimal strength, durability and edge holding qualities. 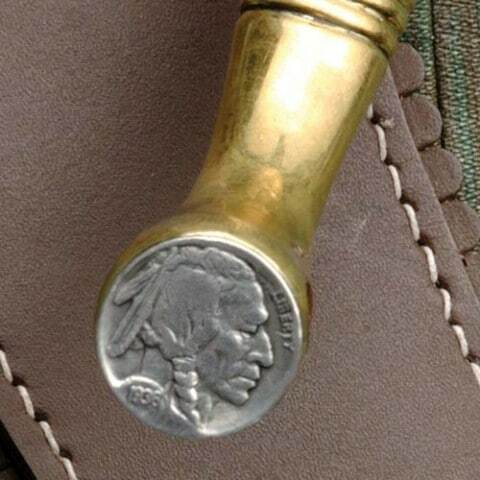 Pommel cap is graced with an Indian head nickel reproduction. Top grained leather sheath stitched with waxed linen thread and riveted at the stress points.